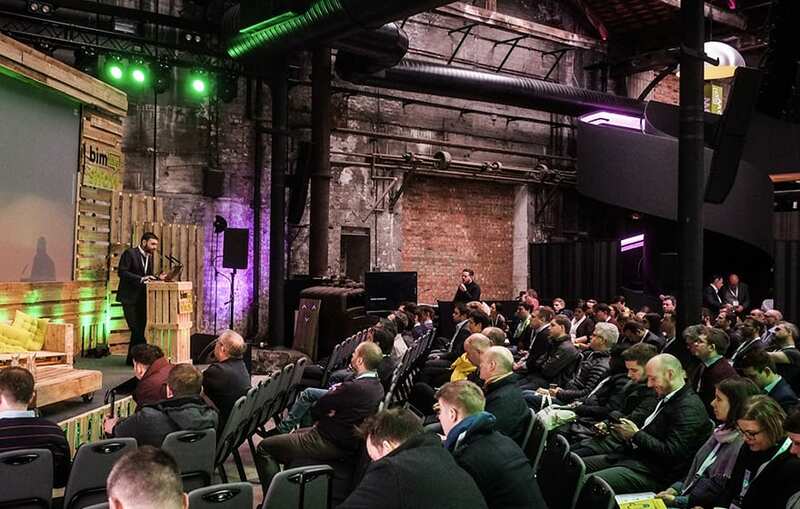 BIM Show Live blew back into Newcastle, and even the wind and snow didn’t stop a host of our industry’s top digital innovators and disrupters filling the historic Boiler Shop venue for two days of thought-provoking content. BSL has always been the event where I have my conceptions and understanding of this thing we call BIM really challenged. 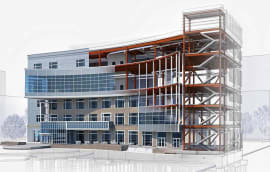 From stage to stage, and throughout the audience, the knowledge and experience of real world BIM is unparalleled. The worlds of BIM and Proptech have been on a collision course for years, but with the exception of newly built assets for clients with a great handle on digital facilities management processes, the convergence always seems at least a few years away. This is because Proptech adopters rely on data, as Ed Bartlett from Kykloud confirmed in the opening session on day one. However, this data is still being collected through site visits with a tablet app, because data from the design and construction phase was either analogue, missing or simply not updated. That is now starting to change in line with the UK BIM roadmap by starting with COBie and moving towards IFC. COBie is more than a spreadsheet. 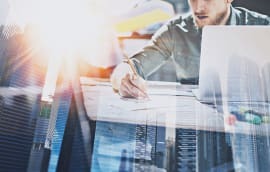 It’s real structured data that the Proptech world can use – so to see how data is being used to plan the future of the UK school portfolio on one stage, then seeing so much great work in the field of refined information management on other stages, it was all fitting together perfectly. Rob Jackson’s reprisal of his “COBienator” theme was an especially rigorous view of how data can be tested and delivered. 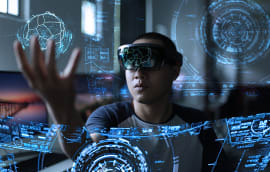 COBie in action might be a stopgap solution whilst the industry grows into delivering great IFCs, but it was encouraging to see our technological worlds start to converge. BIM Level 2 is now pretty much ready to come out of the oven. Whilst the argument about whether Level 2 is actually refined enough to define contractually is likely to rumble on until it gets a proper legal test, the creation of a set of standards that are working on projects to deliver real benefits is clearly shifting from forming to norming. BIM Level 2 works, and now the next stage is to remove the niggles that slow the process down and there was some great advice coming from the BIM Show stages which has been born out of hard-won experience. I especially enjoyed Romulo Simionatto laying out some great BIM truths on day two, for example if you didn’t author your model to align with the building process early on, then 4D planning isn’t going to be efficient. It’s great to hear honesty rather than the smoke and mirrors routine which has dominated other BIM events in the past. All of us out there trying to do the right things to digitise the industry can feel a bit like we’re ploughing a lonely BIM-shaped furrow at times, and the reaffirmation that no-nonsense BIM is gaining adoption was a shot in the arm. However, I’m still to see a fully Level 2 job anywhere, so this isn’t grounds to get complacent – but from one BIM Show to the next there has been definite progress with L2 adoption. 3. 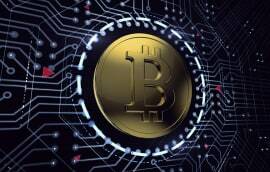 Possibly the most used word at this year’s BIM Show was Blockchain. I thought I had a good grasp on the potential for Blockchain to impact the construction industry. However, there has been much more work done in this field than I thought and it was fascinating to hear about. At times it was like being transported back to 2012, people were talking about things I haven’t fully read up on yet because I’m busy reading the things I know need for tomorrow, not the things which aren’t formed enough yet to make landfall yet. IoT, digital contracts, semantic design, IFC perfection techniques, game theory in construction and AI robotics were all being discussed as research projects and emerging technologies. It’s exciting and challenging. 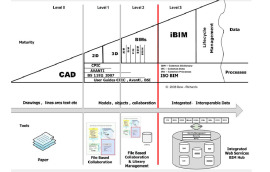 It’s not BIM as we know it, frankly as Level 3 starts to show itself there’s so many concepts which don’t fit the BIM definition that “BIM Level 3” will barely make sense when this fantastic emerging world becomes reality. BIM Show Live might find itself transitional phase of no longer needing to promote Level 2 in 2019, but the chrysalis of Level 3 could still be so theoretical and unrefined that next year’s show is going to be a challenge to curate. As director of a business providing BIM services, in a market that needs to get to BIM Level 2 to business as usual in the UK for the good of the industry and the country as a whole, I believe it is my duty to make my business and those like it unnecessary as quickly as possible by raising market maturity. Unless we are entering an age of exponential evolution in BIM concepts, there will come a point where it is normal and there is no need for BIM working groups, BIM consultants and even BIM Show Live. When Fonzie jumped over a shark on jet skis on Happy Days, it was over. One year BSL might jump the shark too. But as I write this, I genuinely believe BIM Show Live still matters. The Level 2 concepts are losing their innovative edge and the next iteration of future gazing concepts are early in their genesis, but even though a year in construction flies by, I’ve come to learn that a year in BIM can make a huge difference. I can’t wait to see BIM Show back next year doing what it does best, reminding us all that the digitisation of the construction industry is a once-in-a-lifetime opportunity and there’s a whole world of innovation going on with the UK right at the front of the pack.